A cornerstone dialogue organized by the Foreign Ministry was held on November 12. The topic was: A conversation on peace, friendship and the future. 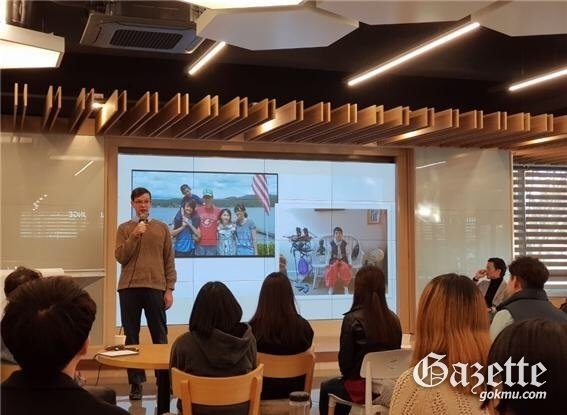 Representatives from the U.S. and Canadian embassies in Korea attended this event along with hundreds of students and professors. The dialogue also held a question and answer session, as well as provided opportunities to communicate views on the nation’s foreign policy and the Korea-U.S. alliance. The event was an important opportunity to learn about the Korea-U.S. relationship and the government’s policies. The Foreign Ministry intends to conduct public diplomacy more widely, strengthening communication with university students. Songguk-ri culture in the Bronze Age A special exhibition is being held from September 19 to December 8 at Keiymung University Hanso Museum. The exhibition theme is 'Congguk-ri culture during the Bronze Age: establishment of a settlement agricultural society and ancestor worship culture'. Songguk-ri culture is found in the Yeongnam region, and is known to have influenced Japan's Yayoi culture. Through a special exhibition titled "Songguk-ri Culture of the Bronze Age," visitors can reflect on the excavation of the Songguk-ri site in Buyeo which shows the shape of the rice farming village and the culture of ancestor worship.